Christie’s range of display options will be present at Live Design International (LDI) show in Las Vegas on October 23 to 25 at booth 461. The Christie M Series line of 3DLP projectors will make its global debut. It features longer lamp life and portrait capabilities for the 450W models. Pandoras Box will be the source behind the Christie Boxer 4K30, Christie Velvet LED tiles and Christie MicroTiles technology which will be on display at the booth. Other booths will feature the Christie Spyder X20 video processing, Christie H Series projectors, Christie UHD touch LCD displays and an automated projection mapping display. Installed in portrait mode, the Christie Boxer 4K30 will combine with Pandoras Box to create a 3D clock tower mapping display. Christie Boxer 4K30 is a 30,000 lumen, high-resolution projector designed for rental staging and live events. Christie Pandoras Box is hardware and software tool for show control, projection mapping, image compositing, and interactive applications up to and beyond 4K. Position, rotation and scale can be changed with soft edge blending for an unlimited number of projectors. 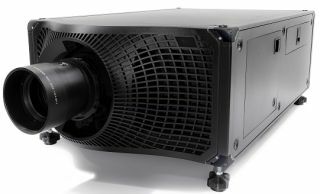 The enhanced Christie M Series 3DLP projector will also debut globally. It will project in portrait mode onto the floor and feature real-time ID tracking tags and imagery from Christie Pandoras Box. Driving the content to the 3 x 5 Christie Velvet 1.9 millimeter LED wall is Christie Pandoras Box. Christie Velvet LED tiles are scalable to different walls and deliver 24/7 visuals with wide viewing angles. Christie Pandoras Box will manage content displayed on a 4 x 8 array of Christie MicroTiles.Christie MicroTiles’ images are designed for lobbies, auditoriums and government facilities. Two Christie H Series projectors will be mounted in redesigned smaller and lighter rigging frames. The Christie Spyder X 20 video processor will control the images projecting onto a curved screen to demonstrate H Series’ warping and blending capabilities. The dual-lamp 1DLP Christie H Series is suitable for mid-to-large rental staging and permanent applications including concert halls, auditoriums, hotels and houses of worship. Christie is also teaming with BOI Solutions. The BOI software will enable interactive control to show the features and benefits on FHQ552-T flat panels of the Spyder X20.